It's not often that I actually agree with the majority of voters (elected Bush twice) but for Seattle voters have done something useful, they approved the tunnel. 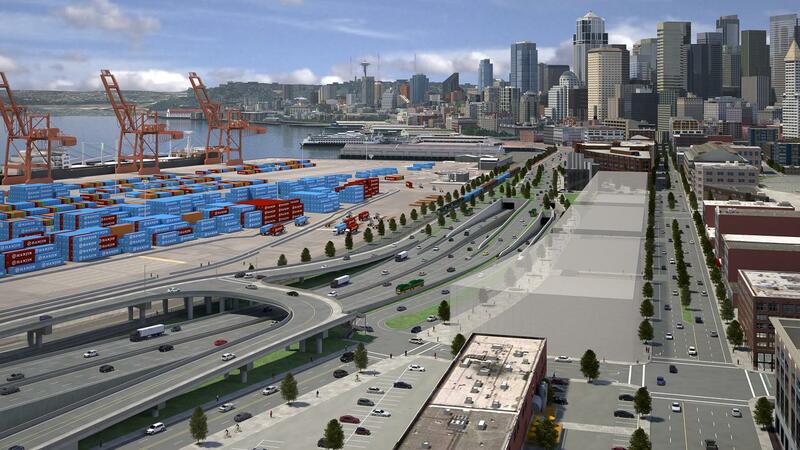 In Seattle there has been a debate going on for months, with the already approved tunnel to replace the aging eyesore of a bridge that runs along the city. The mayor has been ranting about his opposition since prior to his election and since. He would rather not spend the money. But voters have said via a referendum to build the tunnel. Yes it's going to be expensive, but it will make Seattle a better more beautiful city to live it. It will move cars from the streets to the underground, cutting noise and beautifying the city.